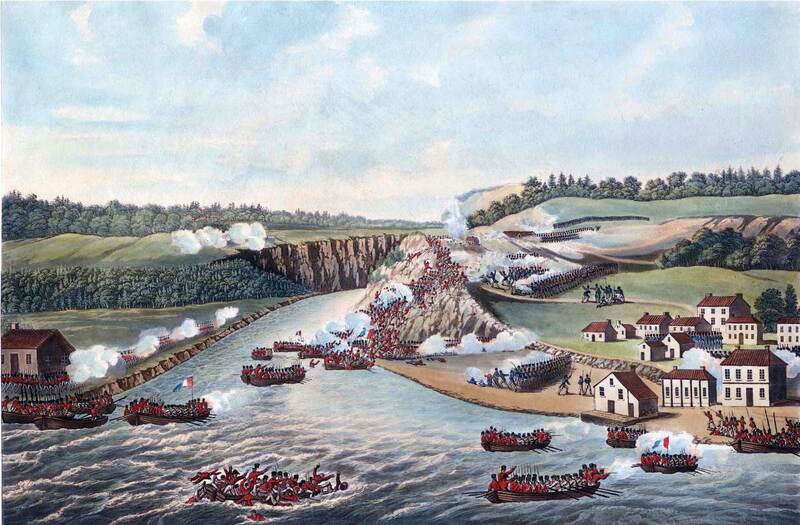 On October 13, 1812, US forces were defeated at a battle near Niagara Falls, on Queenston Heights. The US officers were unable to convince militia troops to cross into Canada to provide reinforcements and supplies. To lead the attack on Canada, De Witt Clinton, the governor of New York, appointed a political appointee General Stephen Van Ressler of the New York militia; Van Ressler had no previous military experience. By Early October, Van Ressler amassed a force of 3,500 along the Niagara River to fight 2,000 British and Indian fighters. On October 13, General Ressler led a group of 200 men across the River at Queenstown. While crossing the river, Ressler was severely wounded as the British attacked his men. Captain John Wool took command and led a group of experienced soldiers up an unguarded trail leading up to the Heights. British General Brock led a surprise attack against Ressler but his troops were forced to retreat. More of US troops arrived ad Brock ordered a counterattack. However, Brock was killed in the assault his troops were pushed off by the Americans. Reinforcements led by Lieutenant Colonel Winfield Scott were sent to help Ressler and it appeared as if victory was on the side of the Americans. Van Ressler ordered the New York Militia to reinforce Scott, but they refused to cross over into Canada. With more British forces on the way, Ressler feared that Scott would not be able to hold the Heights and ordered him to withdraw promising that there would be boats on the beach waiting to take his men back across. When Scottâ€™s men reached the river there were no boats to be seen. Before long, the British were pouring gunfire down on the Americans from the newly recaptured Heights. The stranded Americans had no choice but to surrender. Three hundred Americans were killed and 938 men, including Scott, were taken prisoner.